The Galaxy Note 8 and the iPhone 8 are the two upcoming superstars of the smartphone world and today we have a size comparison in-between the two heavyweights for you to look at. Of course, what you see here are not the actual phones but their display panels. Nevertheless, they do give us a pretty good idea of things to come. The leak comes to us via Weibo, the Chinese social networking site which is famous for producing such leaks often, but was brought to our attention via a post by The Android Soul. 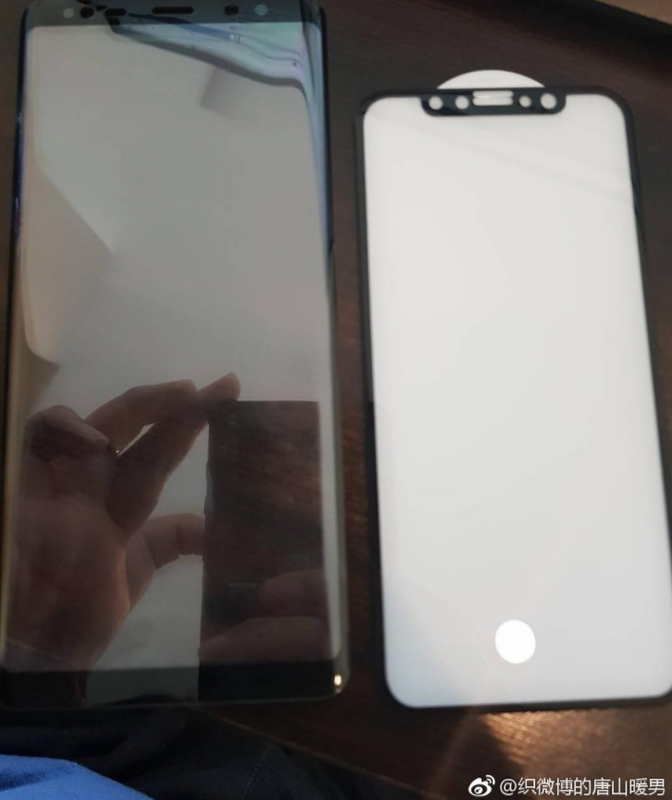 If this leak is authentic (which it probably is) then what we see here falls perfectly in line with what we already know about the Galaxy Note 8 and the iPhone 8. There is the 6.3-inch massive display on the Note 8, while the iPhone 8 sports a more Galaxy S8ish 5.8-inch borderless display. However, to Apple's credit, we must admit that it looks like the iPhone 8 truly has mastered the borderless display aspect, as compared to the Galaxy Note 8, which will clearly sport larger top and bottom bezels than the Galaxy S8 and S8+. The question is, which one did you like more?